York City Centre Apartment, luxury, comfort & convenience. A gem in the very heart of York! Situated in a secure development the accommodation is quiet and peaceful while still having the benefits of city centre living. Spoil yourself by choosing to stay in this immaculate apartment, with all the delights and attractions of the wonderful City of York right on your doorstep. 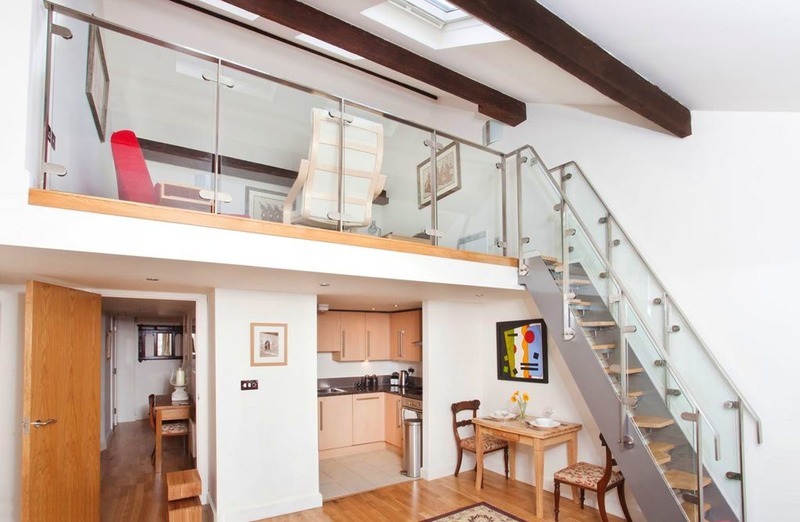 This luxury loft style apartment in York City Centre has it all. A brilliantly central location, high quality furnishings and tasteful decor. With vaulted ceilings, it is elegant and light affording great views across the city's ancient rooftops. This apartment sleeps up to 5 in two spacious bedrooms with an additional sofa bed in the mezzanine level. Although located in the heart of the city, guests are assured of a quiet and peaceful stay as the apartment is set back down a York "snickleway" and sits at the top of our building. The new website is using our 'Fuji' theme which has been adapted to suit the branding of York Popeshead Court. The SCRUMPY system is not only a mobile friendly website, it is also a fully featured admin system to manage your holiday property. From the admin you have the ability to manage all aspects of your holiday property buisiness from website content and images to pricing and availability. It even comes with built in marketing features such as social integration, an email broadcast system and a blog. We are constantly working on new features and making improvements to the system in an attempt to make the lives of property owners easier. If you would like to discuss how SCRUMPY could assist you in managing your self catering property then please do not hesitate to get in touch!